Power plants generate electrical energy in hundreds (and sometimes even thousands) of Mega Watts. Extensive usage of the equipment in power plants take its toll over time. They undergo wear and tear and hence require maintenance, repair and replacement. Hence, over time, the value of the power plant equipment as well as the building decreases. 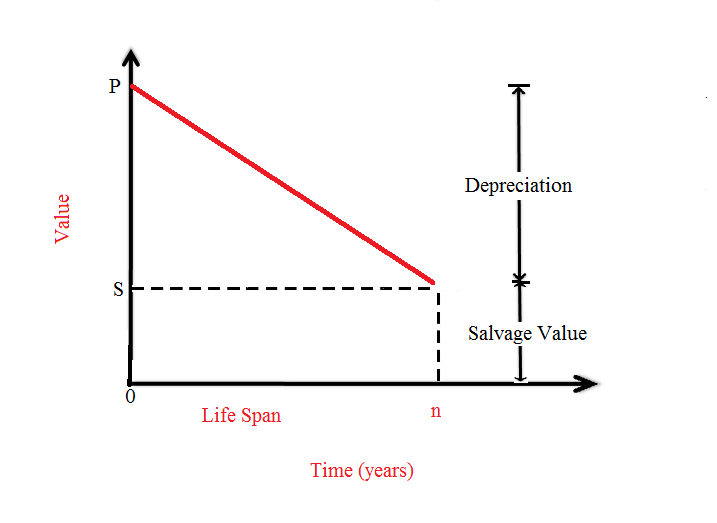 This decrease in the value is termed as 'depreciation'. Ideally, the power plant equipment work at their rated capacities and at the efficiencies they are designed for. However, practically, it is not possible. Over time, wear and tear affects the efficiency as well as the life of a power plant. We have to keep in mind that any plant will have a large capital (installation) cost. Such a huge sum of money is generally loaned. Interest is also charged upon this amount. The suppliers, of course, charge the consumers for these and such charges are included in the fixed and semi - fixed costs of electrical energy. In this method, provision is made from setting aside a certain and fixed amount of money every year. This value remains fixed for every year and depends upon the useful lifespan of the plant. It can be given as, total depreciation value divided by the useful life of the plant. 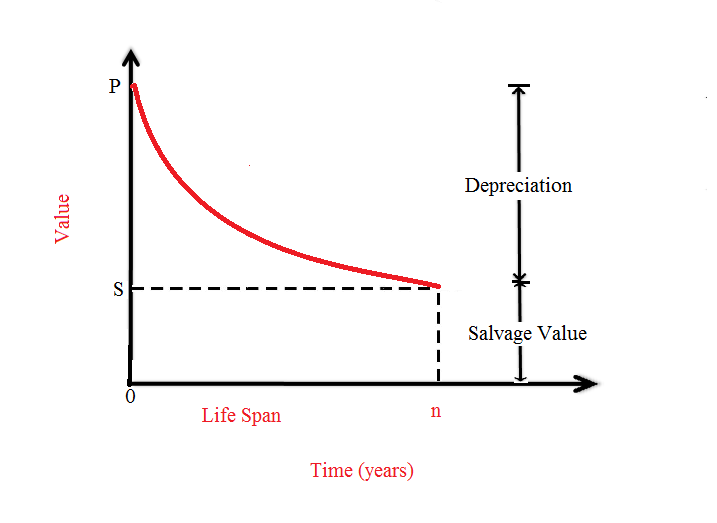 The total depreciation value is calculated by subtracting the 'salvage (scrap) value after the lifespan' from the 'initial cost'. In actual practice, depreciation of equipment is not constant every year. It does not consider the amount of interest earned by the annual depreciation amount set aside annually. We can see that depreciation charges are higher in the early years and reduce with time. Better distribution of charges: In the early years, depreciation charges are more while maintenance and repair charges are less. In the later years, depreciation charges are less while maintenance and repair charges are higher. In the early years, the plant is supposed to collect money and then collect interest on it as time passes. But in this method, the amount of interest is not taken into account. In this method, the arrangement is made such that a fixed amount is set aside annually and then invested at a certain interest rate which is compounded yearly. This fixed depreciation charges will be such that sum of these charges and the interest collected must be equal to the cost of replacement of the equipment. After n years, the salvage value will be received. But, amount q is added at the end of 1st year. Hence, it will collect interest only for (n-1) years. This method is not widely used in practice. However, it does find application in economic assessments.